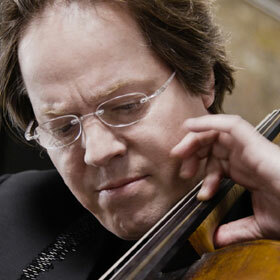 Jan Vogler presents a re­vealing reading of Schumann’s Cello Concerto in A minor, Op. 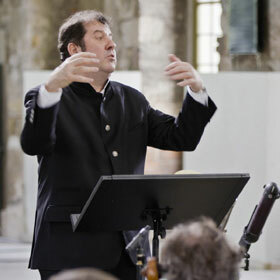 129 with his own or­chestra, the Dresden Fes­tival Or­chestra, that consists of more than 50 members from Eu­rope's most renowned early mu­sic en­sembles, under the baton of its mu­sical di­rector Ivor Bolton. 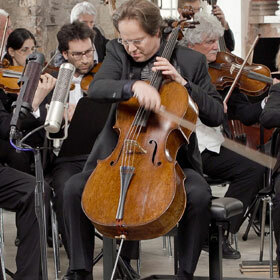 Explor­ing Schumann's "orig­inal sound", Jan Vogler plays on gut strings and the or­chestra on pe­riod in­stru­ments. The concerto connects the Dresden Mu­sic Fes­tival and its or­chestra to the productive Dresden pe­riod of Schumann's work (1844-50) since Schumann composed the cello concerto im­me­diately af­ter he had left the city. Schumann consid­ered call­ing the work a "Concert piece for cello with or­chestral accompa­ni­ment"; indeed, the or­chestral writing in the concerto is far more trans­par­ent and un­obtrusive than is normally as­sociated with Schumann concert works. It is a lit­tle-known fact that the compos­er learned to play cello as a child, and that af­ter dam­ag­ing his right hand dur­ing the early 1830s he in­tended to return to the cello in an effort to better his under­standing of chamber and or­chestral mu­sic. 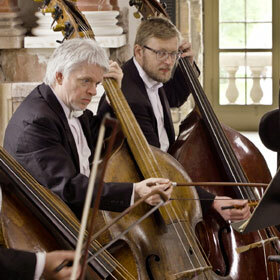 The programme shows the performance of the cello concerto at the Palace in the Great Garden, Dresden and moreover includes excerpts of the artists’ debut at the Elbphilharmonie Hamburg togeth­er with Mar­tin Stadtfeld.